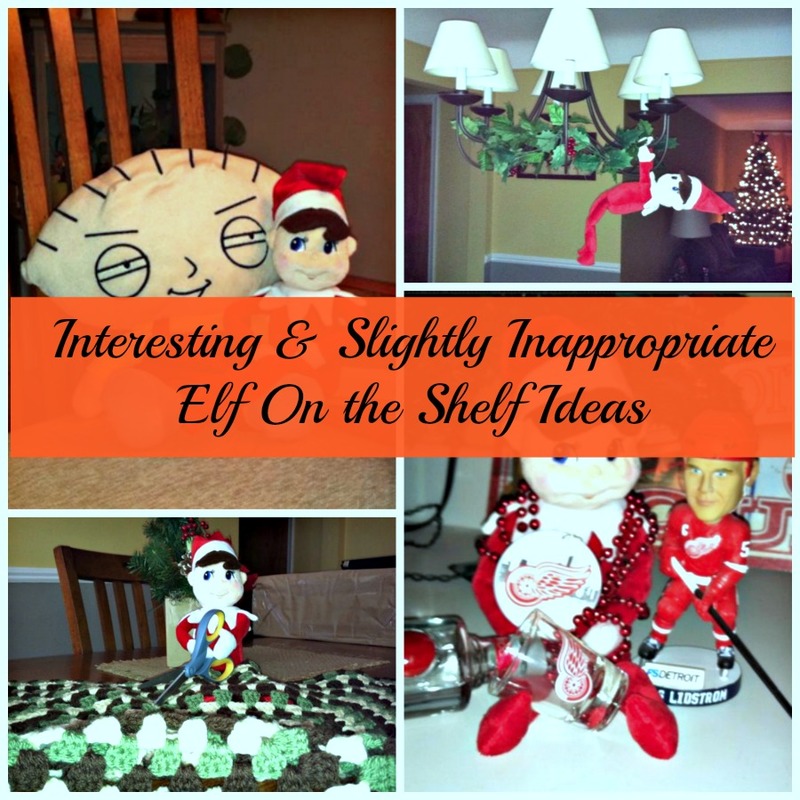 And the fun continues- check out these Elf on the Shelf ideas that Marie Stalnik-Korycinski was so gracious to share with me! 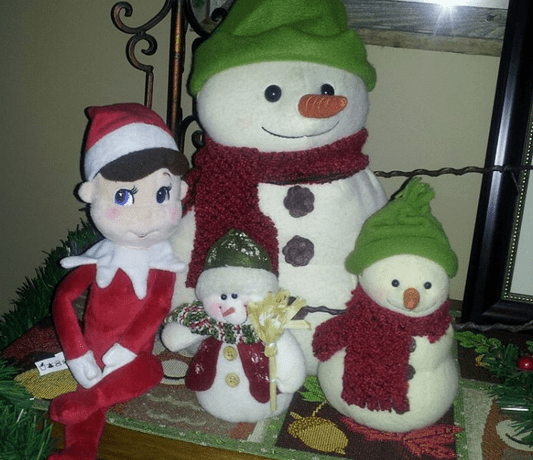 If you’re new to the whole Elf on the Shelf idea, then you can read about what this whole crazy phenomenon is all about HERE and the introduction of our Elf- Elfie! 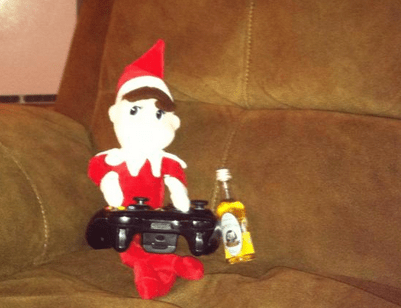 You can get your own Elf on the Shelf from Amazon. 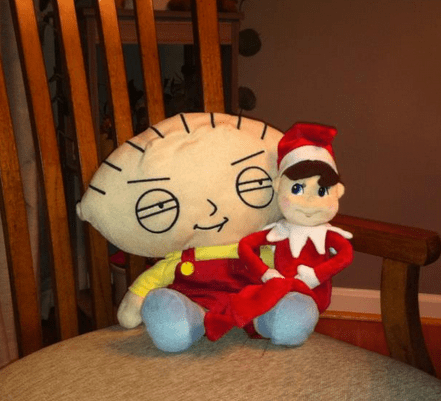 Uh-oh– he’s hanging with Stewie! 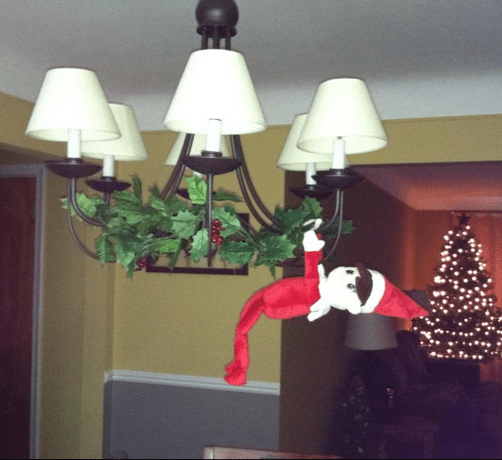 He’s bound for some trouble now! 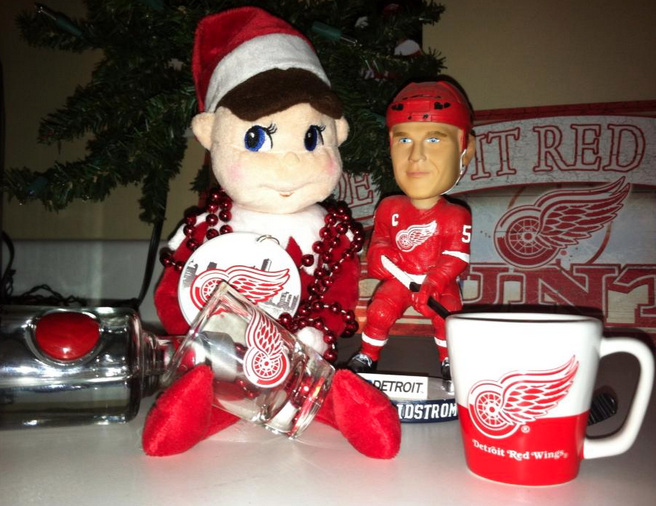 I had no idea this Elf was a Detroit Wings Fan!! 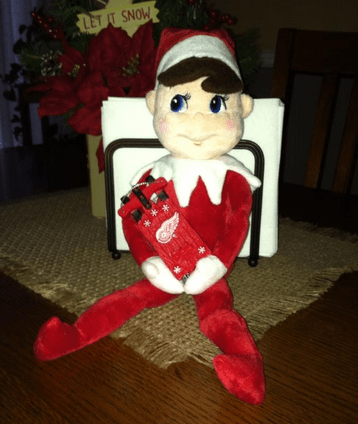 He’s decked out in all of his gear! 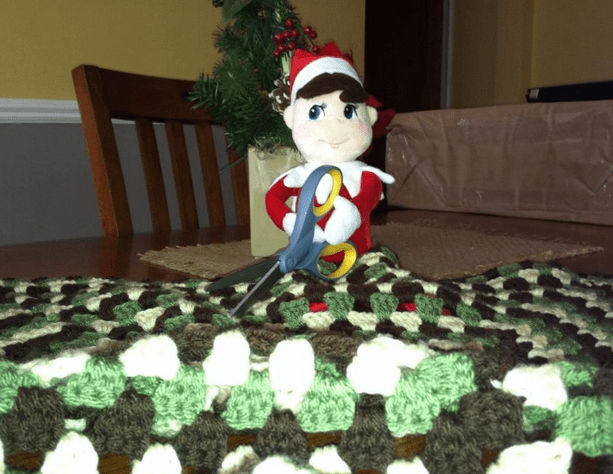 uh-oh.. who gave him the scissors? 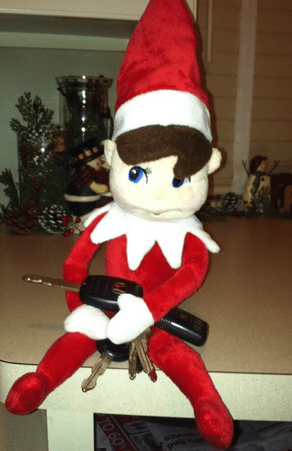 I guess he’s trying to help! 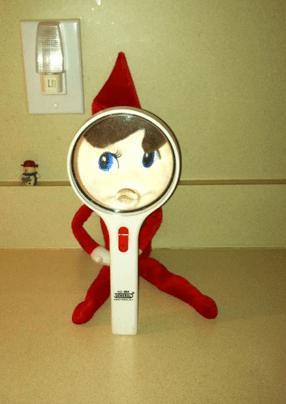 Oh when everyone talks about the Elf on the Shelf being creepy— I would so agree with this next picture… he’s got his EYE on you! 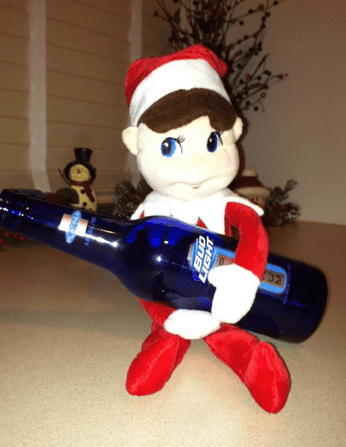 In need of a drink? 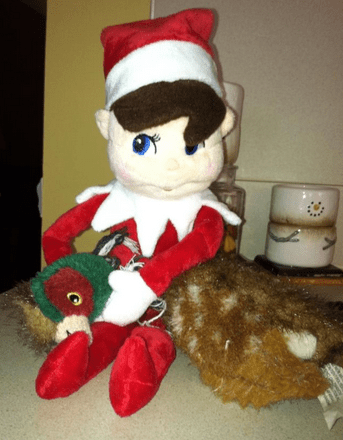 This Elf’s got you covered! 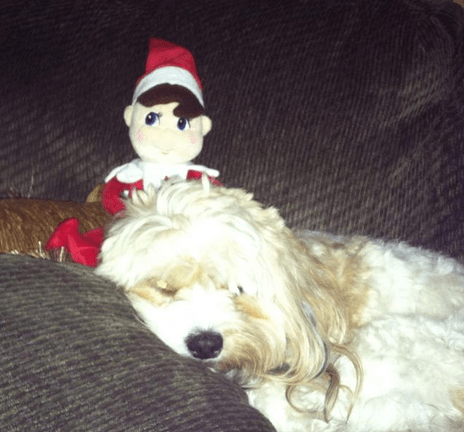 They better get their dog… Elf is up to no good in this picture!